Recently, Google introduced a new update for Hangouts on Android, introducing some new features such as the ability to set custom notifications on the app. 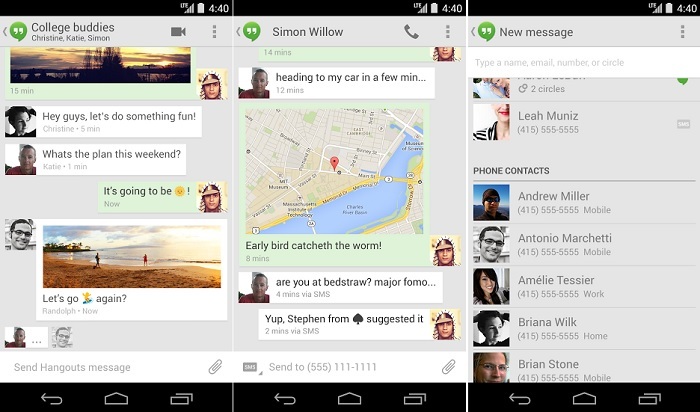 Now, the search engine giant is rolling out an update for the web version of Google Hangouts. The latest updates give users the ability to sketch the messages, rather than typing it. Reports suggest that Hangouts now offer users to draw their messages in Hangouts, using various brushes and sizes. To sketch a message, all a user has to do is hover their mouse in the message field near the camera icon until the pencil button pops up. Once it does, simply click on it and start sketching the message you want to sketch. The update is rolling out as we speak, and if you can’t see the feature, panic not as the roll out process is gradual, and it may take some time for the update to roll out. The update is currently available for the web version, but we’re hoping it will make its way to the Android counterparts as well. If you can’t see it, try reinstalling the Chrome extension, and let us know if you can spot the new feature.